Medical expenses you've paid during the year, including many health insurance premiums, offer a bounty of possible deductions and breaks at tax time. You might be eligible for an itemized deduction for medical expenses if they meet certain qualifications, or a tax-free reimbursement from a flexible spending account, a health reimbursement account, or a health savings account. Many of your medical expenses are tax deductible if you itemize rather than claiming the standard deduction. If your total medical expenses exceed 7.5 percent of your adjusted gross income in 2017 and 2018, you can claim a deduction for the balance. It used to be that you could only deduct the portion of your expenses that exceeded 10 percent of your AGI but the Tax Cuts and Jobs Act changed that, at least temporarily. The new tax law reduced the threshold retroactively for 2017 and extended the reduction forward through 2018. The percentage isn't set to increase back to 10 percent until the 2019 tax year. This reduced threshold will result in a larger deduction because more of your expenses will be deductible. A special exception used to exist for taxpayers who were age 65 or older but that was set to expire at the end of the 2016 tax year. The threshold for these taxpayers was 7.5 percent through December 31, 2016, and was slated to increase to 10 percent on January 1, 2017, as well. The TCJA affected this tax provision, too. Now everyone is subject to the 7.5 percent threshold regardless of age, at least through the end of 2018. Seniors don't have to worry about a higher threshold in 2017 and 2018. 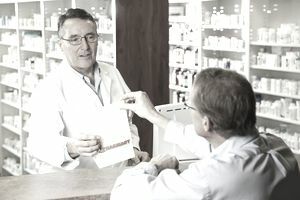 Over-the-counter treatments, nutritional supplements, vitamins, and first aid supplies don't qualify unless they're prescribed by a medical professional. Controlled substances such as cocaine and marijuana aren't tax deductible even if they're prescribed. Many elective surgeries are not included. Some employees might be eligible to set up medical flexible spending accounts (FSA) through their employers. FSA plans let employees save pre-tax money through payroll deductions then submit various medical expenses to the account for reimbursement. You can contribute up to $2,650 a year per employer as of 2018. Your spouse can contribute up to $2,650 to your FSA as well if you're married. Eligible medical expenses include co-pays, deductibles, prescriptions, and some over-the-counter medications. The drawback is that you must use the money within the year—you can't save your contributions up toward a future health calamity. Some employers offer their workers health reimbursement accounts (HRAs). The employer will reimburse an employee for certain qualified medical expenses and the reimbursements are tax-free. Your employer contributes to a plan to which you can submit your requests for reimbursement and unlike with an FSA, the money can roll over into subsequent years if you don't use it in the same calendar year. A taxpayer can set up a health savings account (HSA) either on his own or through a group plan with his employer. Like FSAs, HSAs are pre-tax savings accounts. Unlike FSAs, health savings accounts don't have a "use-it-or-lose-it" feature for accumulated savings. They, too, can carry forward to cover expenses in future years. Health savings account holders can use their savings funds to pay for medical expenses on a tax-free basis but they must have a high-deductible health insurance plan to qualify. The HSA helps to defray the policy's out-of-pocket costs. Contribution limits in 2018 are $3,450 a year for individuals and $6,900 for families. You're entitled to an extra $1,000 "catch-up" contribution if you're 55 or older. It's often better to use a pre-tax savings plan to pay for out-of-pocket medical expenses than to take an itemized deduction, particularly in 2018. You must itemize to claim the medical expenses deduction and this means not claiming the standard deduction. But the TCJA effectively doubled the standard deduction for all filing statuses beginning in 2018 so you might not want to give that up even with the change to a 7.5 percent AGI threshold. Itemizing wouldn't be worth your while if your overall itemized deductions don't exceed the standard deduction you're entitled to claim. Standard deductions in 2018 are $12,000 for individuals, $24,000 for married taxpayers who file jointly, and $18,000 for those who qualify as head of household. If the total of all your itemized deductions doesn't exceed these amounts, you're just giving the IRS money that you don't have to. Any medical expenses paid out of FSA, HSA, and HRA plans are effectively 100-percent deductions whereas the itemized deduction is, at best, only partially tax deductible—the portion over 7.5 percent of your AGI. And anyone whose total medical expenses for the year are less than 7.5 percent of his AGI won't be able to claim the deduction at all.